As a wine journalist, from time to time you get to meet famous, wealthy people who have turned to wine as a late-in-life leisure pursuit. Commonly known as ‘lifestylers’ in the trade, they frequently have just a passing knowledge of wine, spend lots of money on a swanky winery and a winemaking consultant, and the results are so-so. The wines made like this tend to be obvious, fashioned in an international style, and ambitiously priced. They reek of ego. So I approached this interview slightly hesitant. 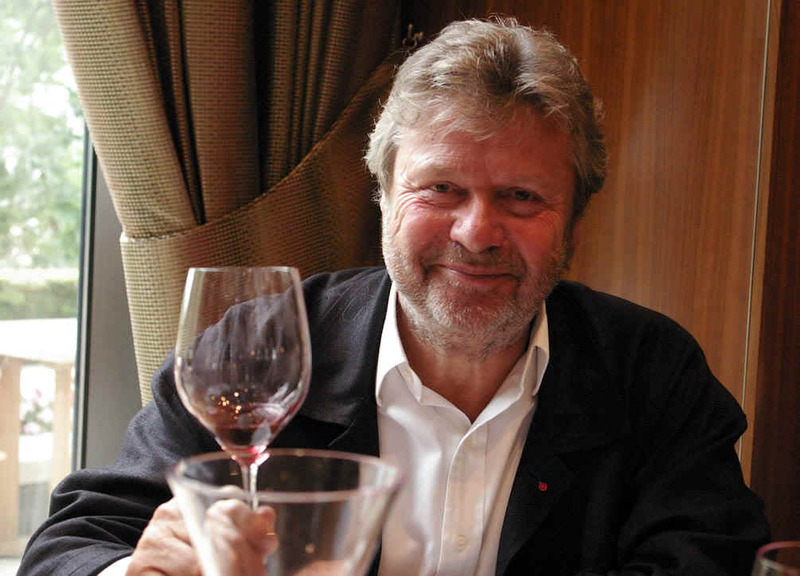 Alain Dominique Perrin is wealthy and famous, and Michel Rolland consults for his Cahors estate, Lagrezette. The wines he makes are the most expensive in Cahors by some margin. The signs weren’t looking good. But I was pleasantly surprised. Perrin is clearly a serious wine lover, and has a very hands-on role with Lagrezette. His relationship with Rolland is deeper than the usual owner–consultant one. And, most significantly, the wines are really good. ‘Wine is my passion and hobby, and I’ve invested a lot of money in it’, states Perrin. Indeed, he has a wine cellar of 22 000 bottles, which sounds like an acquisitive hobby that’s run slightly out of control. ‘My family can drink for four generations’, he quips. Some background information is necessary here. Perrin is extremely famous in France, but less well known in the UK. Indeed, when my brother-in-law, who works for a French bank, heard that I was interviewing Perrin, he was awestruck. ‘Perrin? He’s like God’. Perrin’s fame largely stems from the fact that he’s known as the man who turned the fortunes of Cartier around, as CEO of Must de Cartier from 1976 and then, when it merged with Cartier Jewellers, as chairman of the board of Cartier International from 1981. From 1999 he was head of the Richemont group, the second largest luxury goods group in the world, with a bevy of famous names in its portfolio, including Cartier, Dunhill, Vacheron Constantin, Van Cleef & Arpels, Purdey, Officine Panerai, Piaget, Montblanc and Montegrappa. Perrin did hit the headlines in the UK in 2002, for allowing his friends the Blairs, who seem to have a fondness for hospitality, to take a holiday at Lagrezette, which Tony forgot to include in the register of members’ interests. 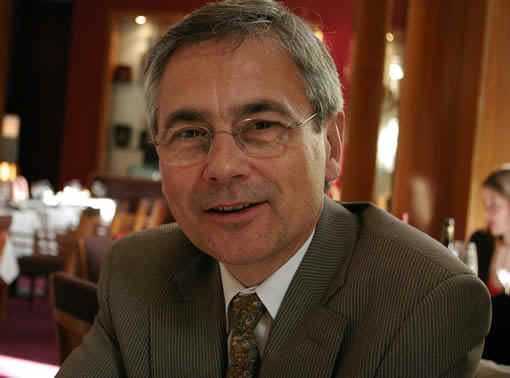 Perrin was also a dinner guest at Chequers in 2003, although this invitation was also the source of some controversy: when the guest lists from the Blairs’ Chequers dinners were released under the freedom of information act (these dinners were funded publically), Perrin was listed as simply Alain Dominique. It looked like the Blairs were embarrassed by this association, perhaps because they were afraid that the connextion between Perrin and the tobacco industry (Dunhill is part of the Richemont group) wouldn’t look good. Perrin reveals that he almost bought Château Pavie when it was sold nine years ago. ‘I was living in London at the time, and I thought that I can’t live in London and go to Pavie regularly’, he recalls. ‘It wasn’t expensive—about 200 million Francs, plus the inventory.’ He thinks that Gerard Perse, who went on to buy the property, has done an exemplary job. ‘It’s a beautiful wine; one of the best. For me, the two best Bordeaux wines are Pavie and Pape Clement’. Perrin guesses that the current market value of Pavie must be £300 million. ‘Maybe more’. 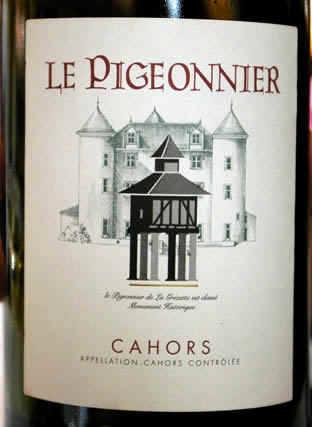 If ambitious, high quality wines, fetching high prices, can be made in Cahors, why aren’t more people doing it? According to Perrin, the reason more people aren’t doing this sort of thing in the Southwest of France is simple: it costs lots of money. People who aim to make the very best wines in this region tend to lose money. ‘The consumer isn’t prepared to pay enough for that part of France’, laments Perrin. While we were touching on the subject of politics I asked about France’s new president. ‘Sarkozy could the the right guy for France. The minister of agriculture will have to follow and do with wine what Sarkozy is doing with tax to get wine back on track’. Michel Rolland has been consulting here since 1988, and the Perrin–Rolland relationship goes quite deep. They first met through a contact at Mouton Rothschild. ‘His first wine for me was in 1989, and at that time he didn’t do much consulting’, reveals Perrin. ‘We see each other privately; he’s a good friend of mine’. Rolland visits Lagrazette three or four times a year, and has an assistant who comes at least seven times. Rolland is concerned with the vineyard, as well as the winery. ‘He does all the blending. We blend after the wines have been aged in oak after two years. Each variety is aged separately; it’s very sophisticated blending’. With wine, though, the proof is in the pudding. What do the wines taste like? We tasted two, the 2001 Lagrezette and the 1999 Pigeonnier, and my notes are below. I was impressed: these are quite serious wines that have real character. They taste like Cahors, and avoid the dreaded anonymity of ‘international’ style wines. It’s a bit of a relief, because it would have made my task of writing this interview up much more difficult had these been spoofy, over-ripe caricatures of fine wine.